As sustainable development becomes an increasingly important strategic issue for all organizations, there is a growing need for management and executive education to adapt to this new reality. This textbook provides a theoretically sound and highly relevant introduction to the topic of socially and environmentally responsible business. 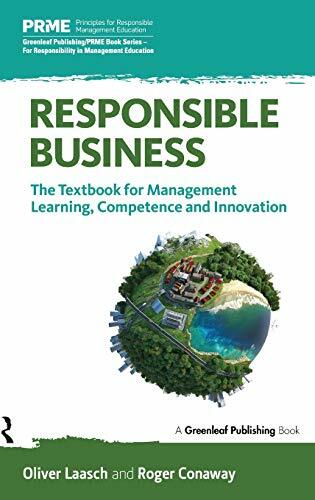 The authors take a “competence-based approach” to responsible management education. The book aims to go beyond the traditional domains of teaching and towards the facilitation of learning across key competences. Each chapter in this book has a section dedicated to exercises that cover five core competences – know, think, do, relate, be – to enable self-directed transformative learning. Drawing from the classic background theories such as corporate sustainability, business ethics, and corporate social responsibility, these concepts are applied to the most up-to-date practices. The book covers an international perspective, featuring cases from countries all around the world, has a strong theoretical basis, and fully integrates the topics of sustainability, responsibility and ethics.The book includes a wide variety of tools for change at individual, company and systemic levels. 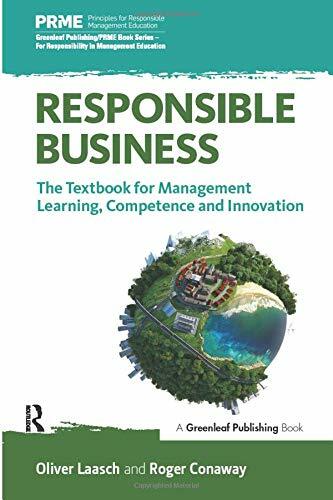 Published with the Principles for Responsible Management Education (PRME), a United Nations Global Compact supported initiative, this is both an essential resource for business students at all levels and self-study handbook for executives.